Here, Evergreen Midwest lists a range of Ball Valves that include 586WA Series (4ST, 6ST, 8ST & 10ST), 586WAS (6ST, 8ST, 10ST), 587WA (12ST, 14ST) and 591 Series ball valves. 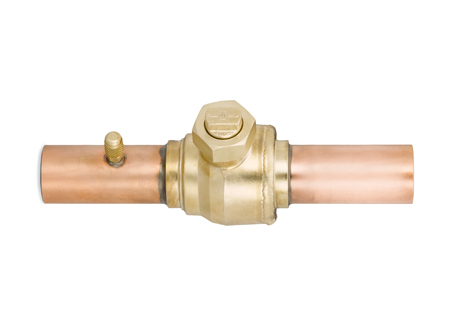 These Brass Body Ball Valves are available with or without access fitting and are manufactured by Superior HVACR in accordance with the most stringent valve manufacturing standards. 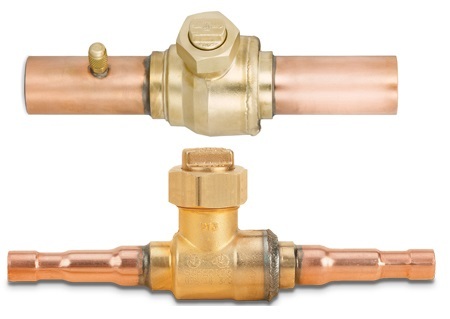 These perform within the temperature range of -40°F to 325°F and designed to work up to a pressure range of 700PSI. With no synthetic O-ring seals and double seal protection, the WA/WAS Series Ball Valves. They are designed for compliance with CFC, CO2, HCFC and HFC regrigerants.